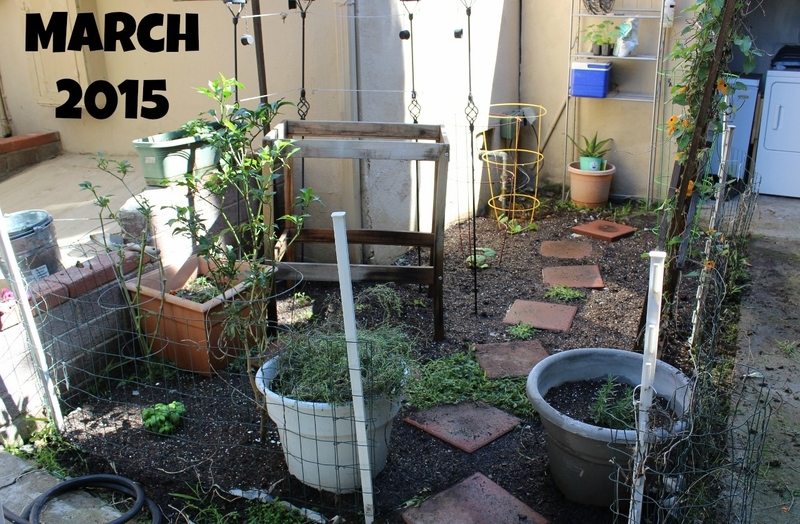 I haven’t been very good about documenting my garden’s growth in posts – but I have been taking monthly pictures. 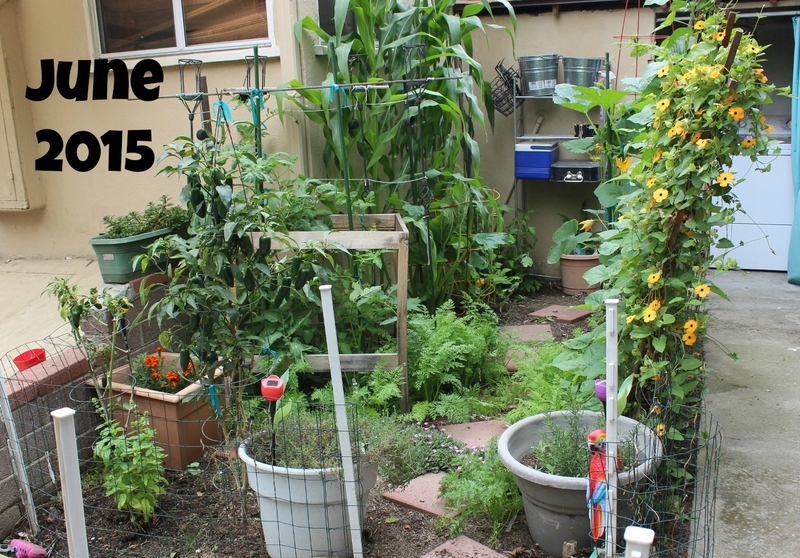 Not to brag, but I think that, so far, this year may be my best garden ever! And it’s actually been a really easy garden too. I think I’ve finally gained enough little bits of information about specific kinds of plants and my particular garden’s environment, soil and sunlight needs so that I could better know how to work with what I’ve got instead of against it. 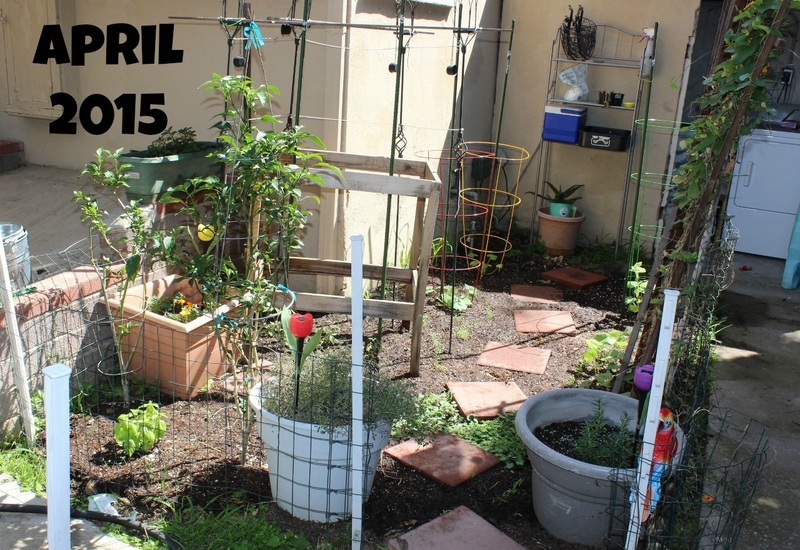 Here’s a quick garden progression from March-to-April-to-May-to-June. My garden had EXPLODED the past few weeks! No harvest yet, other than a few green beans, but soon! 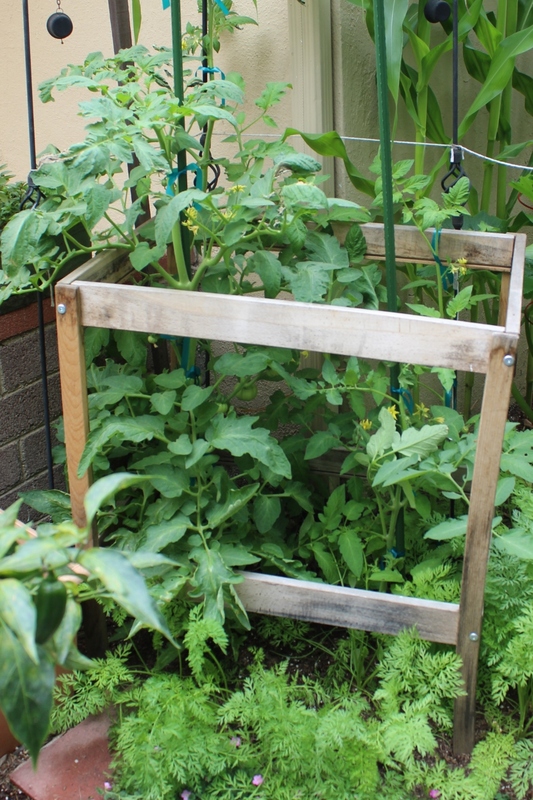 I finally learned how to stake (rather than cage) tomatoes and how to pinch off shooters so the plant doesn’t get out of control. I’ve never grown popcorn, or any other corn before, but man, they’re already over 6 ft tall! 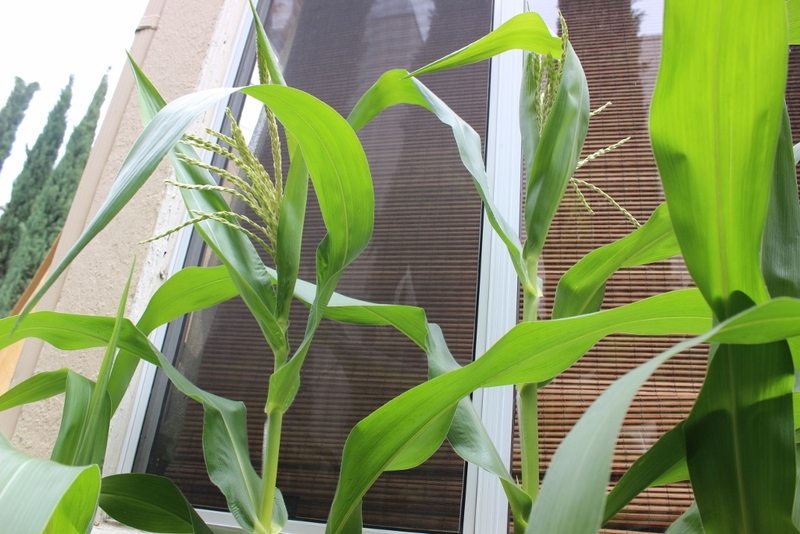 And look at the tops – I guess those are beginnings of an ear of corn? 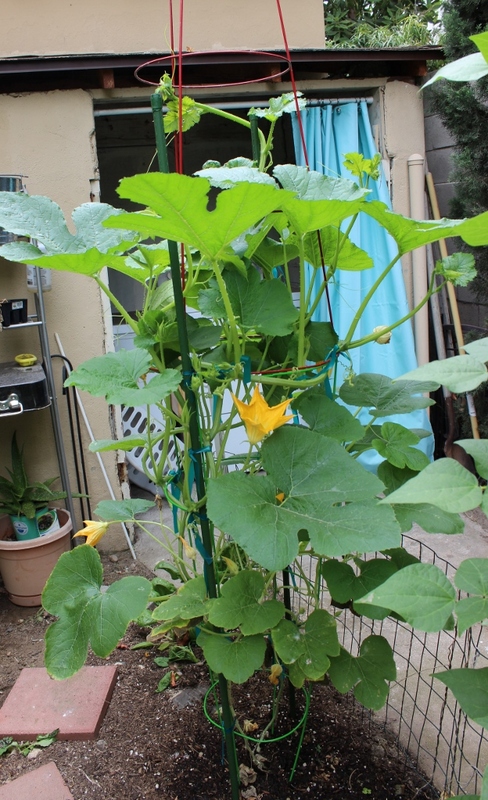 This is the first time I’ve ever grown spaghetti squash too and had no idea what to expect. 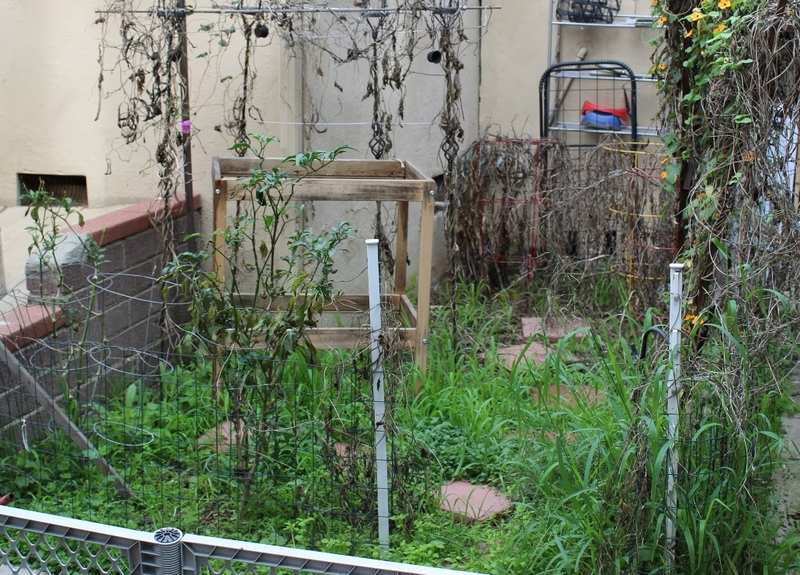 The vine was getting out of hand, so I put a second cage on top to give the vine a lot more room to climb up! I’ve even getting a couple tiny fruits growing. It will be interesting to see how they grow. 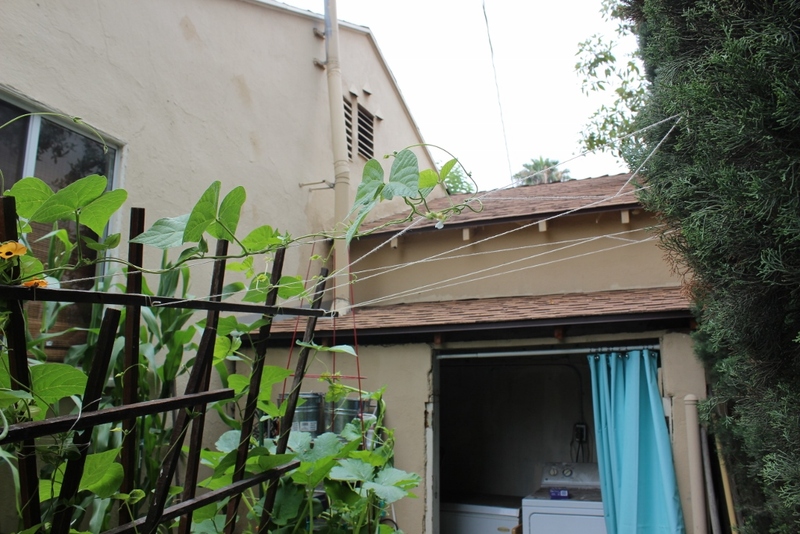 Every year, I always run out of room for my green beans to climb, so this year I strung some string to the tall bushes along the walkway. We’ll see if the green beans take to it. 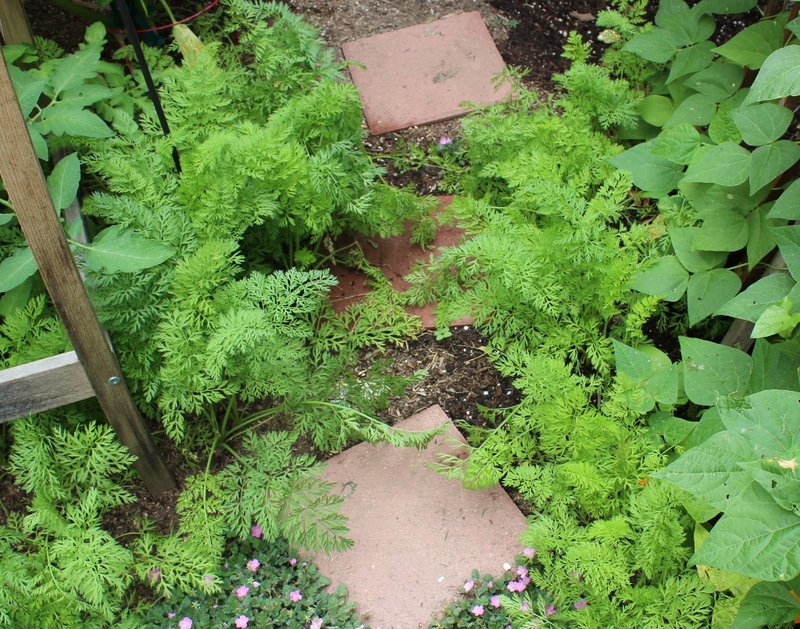 Oh and the carrots are making it hard to walk the garden path now – not sure how much longer these have, but I’ll likely give them at least a few weeks before pulling up a few to see if they are big enough. « GIVEAWAY: Datelivery At Home Date Night Box (& 20% off code)! Wow!!! Ronni, everything looks so beautiful. You have a great talent ❤️ Green thumb. Awesome! I dont know how you find the time to keep up on all this but I love reading your post! 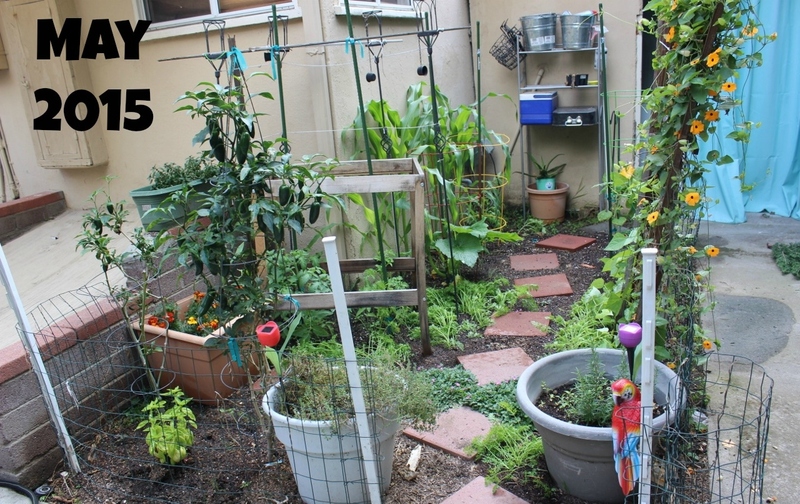 Um, can I come over for dinner and gardening lessons? That looks amazing! Can’t wait to see you again in a couple weeks! In Charleston!!! Stunning garden! Makes for lovely memories and that is why I want to sit in your garden and play with the pup!